Boxer Anthony Joshua Signs With William Hill | What is AJBXG? Anthony Joshua has signed a deal which will see him become an integral part of William Hill’s promotions. HEAVYWEIGHT boxer Anthony Joshua has joined forces with global gambling giant William Hill. The 198cm Joshua has signed a one year deal which will see him feature in the company’s advertising campaigns over the next year and potentially longer. The undefeated champion will also be featured on William Hill’s social media and public relations activities. “I am pleased to partner with William Hill,” Joshua said. “We are both leaders in our fields so it was only right to go ‘all in’ with them. “They are promoting and marketing boxing to a huge audience outside of our industry which is something I am passionate about. “It is important for me to work with brands who understand the journey I am on and the dedication it takes to become undisputed heavyweight champion. Joshua is not the first high-profile name to become an ambassador for Hills, with Kirsty Gallacher, Robbie Savage and Sir Anthony McCoy also linked to the bookmaker. “Anthony Joshua is one of the leading sports personalities of his generation and he has achieved so much so quickly,” William Hill CEO Philip Bowcock said. “It’s exciting times at William Hill as we expand into the United States and we felt this was a perfect time to announce a global brand ambassador. William Hill will get its first opportunity to really showcase the relationship in September, with Joshua due to defend his WBO, IBF, WBA and IBO world titles against Alexander Povetkin at Wembley Stadium, where there is expected to be in excess of 90,000 fans. 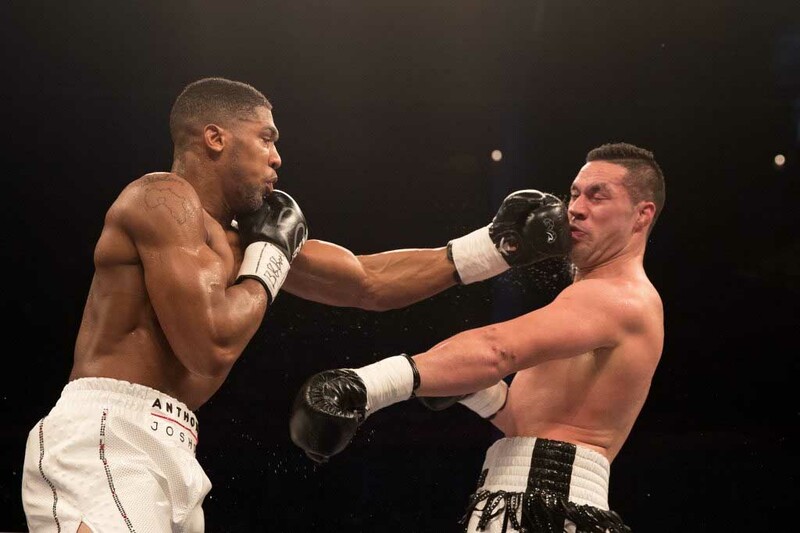 It is a savvy move from William Hill with Joshua not only a great athlete but also a promising businessman who takes great interest in promoting both his fights and brand AJBXING. The CEO of AJBXNG Freddie Cunningham said the relationship with William Hill was the right fit. “We are delighted to partner with such an established and forward thinking brand in William Hill,” he said.